Users of the Instagram mobile application--which runs on iPhone and Android--are familiar with how that app has become one of the key ways people socialize and share their life with others, all via the service's photo sharing and comments. That popularity helped drive Instagram's recent acquisition by Facebook for $1 billion. But, how do you bridge the digital world of Instagram with the real, physical world? One way is through Insteegram (www.insteegram.com) , a service recently launched by Los Angeles-based Rnddr Labs, which allows users to buy their own Instagram images printed onto a high quality T-shirt. Insteegram is soon going to allow those Instagram users to also sell their images on T-shirts to anyone who'd like to buy them. We spoke with founder Edward Park about how his new service allows Instagram users to buy and sell T-shirts from the service, and how he sees the service being a key piece of empowering creative users. 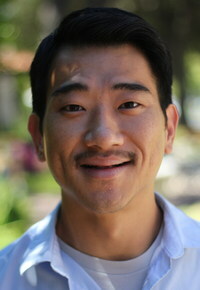 Edward Park: Our company, Rnddr Labs, is trying to create frictionless merch tools and products. Our first product is Insteegram, using Instagram's API, we allow Instagram users to print their Instagram images on American Apparel shirts. What we're trying to do, is bridge the divide between the daily digital experience and creating a tangible item. On the surface, people might think we're promoting consumerism, but we're actually taking a different approach, and addressing reducing consumption. The way we do this, particularly for the teen demographic which might be making frivolous purchases, instead, we're personalizing those shirts for them, which we think will reduce consumption, because when a user tosses on a shirt, they will be using it longer because there's that personal connection. Edward Park: My background is screen printing and production. My previous company did production runs for small clothing lines, promos, and trade show giveaways, and one of the things we realized it's such a volume industry, and the technology of screen printing has been around for 10,000 years, developed by the Egyptians and the Chinese. Nothing has really changed over that time. One of the things I noticed Is there is a lot of inefficiency and waste in the industry. Since my background is in environmental sciences, as well, I couldn't help noticing all of the things that hadn't been addressed properly. There's also a lot of friction for the user. One of the biggest things, is because it's a volume business, if you're a small business or independent musician or artist, you have to purchase in bulk to make that t-shirt work for you. One of the things we really wanted to do was address that, and make our platform more flexible and versatile to help artists and others monetize this without having to invest hundreds or thousands of dollars up front. You will also be letting other people be selling t-shirts? Edward Park: When we first launched, we were a business to consumer service site. We're about a week or two from launching version 2.0, which will allow users to open up their own Insteegram stores. What it will allow you to take any of your images, at a click of the button, and put it into your store. What I like about it, when I first got into this industry eight to 10 years ago, there were a few players allowing people to do this--CafePress and Zazzle, for example--but what has happened, over time, is they're such a volume business, and the technology and equipment they use is different from what we're using and what we've set up, we've been able to reverse engineer with scale and one-off in mind, we've been able to create something that's very lean, with just in time manufacturing. To give you an idea, if you host your own store on CafePress and Zazzle, you're going to get a payout of about 10 percent on your sales, which ends up being $2 or $3. We're going to start out paying them $6, so every shirt you sell that's $6 to you. The other thing, is right now, as your volumes scale, your commission structure actually goes down on those sites. We never really saw the logic in that, and we want to incentivize users to sell more, and have our users grow their business. What we're doing, is taking the opposite approach, and as your volume increase the payout increase to $8 per shirt. Edward Park: From my previous experience doing production for brands, here I am with the capability of making stuff--in my mind was adding more waste to the world. And, there are lots of companies not doing this as efficiently or as well. The biggest thing for me, was turning version 2.0 into an empowerment tool. Especially with the economy being like it is, with lots of people being unemployed, particularly if you're a creative person who might have graduated with a liberal arts degree. Imagine how tough it is for them. All of us, before we started the business, were Instagrammers first and foremost. And we all really wanted to have that capability. One thing we really loved about Instagram was that it is a passionate community of creative folks. If you're an Instagrammer, and a core user, connecting with folks at a deeper level, sharing parts of your life. One of the things that motivated us is this gave us an opportunity to create an empowerment tool, which allows everyday folks to monetize and make a living off our platform. One of the things we also like, is that college students, or students focused on a creative career, can even use this to help do things like pay their tuition. If you run the numbers, based on the payoff we provide to users, you could actually cover your tuition, car payment, rent off selling T-shirts on our platform. We see Nicole Jordan-- who is well known in LA's startup circles for helping out local companies-- is one of your advisors, how did you connect with her? Edward Park: We actually connected with Nicole when she was head of communications at BetterWorks. BetterWorks is actually down the street, and we love what Paige Craig, Zao Yang, and George Ishii, were doing with the company. They are really leaders here in Silicon Beach. When they first started the business, we actually signed up as a customer of theirs to offer perks to our employees. We started talking to them about becoming one of their vendors, and got into their database. Then, for the TechCrunch conference last year, they needed some T-shirts made. They said--why not use one of our own local vendors, and I got in touch with Nicole that way. We ended up doing all the shirts for BetterWorks for the TechCrunch conference, and it started out as a working relationship. What's been the hardest thing about this startup experience for you and any lessons you've learned? Edward Park: There are so many, but the key one is the importance of having a good team. The previous company I ran I was the original founder, and started the business alone with my own cash. But, it's like that proverb, if you want to go fast, go alone, but if you want to go far, go with others, and have a team. Edward Park: One problem with Internet 2.0 has been a reliance on advertising revenue. However, over time, as we transition from 15-20 inch monitor to tablets and smartphones, you're losing that real estate for your advertising. How do you maintain great, delightful user experience and at same time monetize your company? Companies are having to figure out, in addition to ad revenue, how do you monetize better. We think we're opening up another channel to help companies monetize. If web 2.0 was community and content, we think Web 3.0 will be community, content, and commerce--but not just any commerce, but frictionless commerce, and make that user experience as if it's real life. Part of our goal is bridging that gap between the digital and virtual world.